We’ve been lucky enough to be invited to stay at Bluestone twice, but we’ve somehow been unlucky enough to only experience it during wet weather. I have to admit that after seeing the forecast for both our holidays I was a bit disappointed and worried there wouldn’t be enough to do. I shouldn’t have panicked! After spending a total of 10 days there in wet weather, I’ve decided to share some of the best things to do at Bluestone when it’s raining. If you haven’t heard of it, the Blue Lagoon is a swimming pool / water park on site at Bluestone, which is also open to the public. It’s housed in a dome with a glass roof, so even if it’s grey and miserable outside it’s lovely and airy inside. 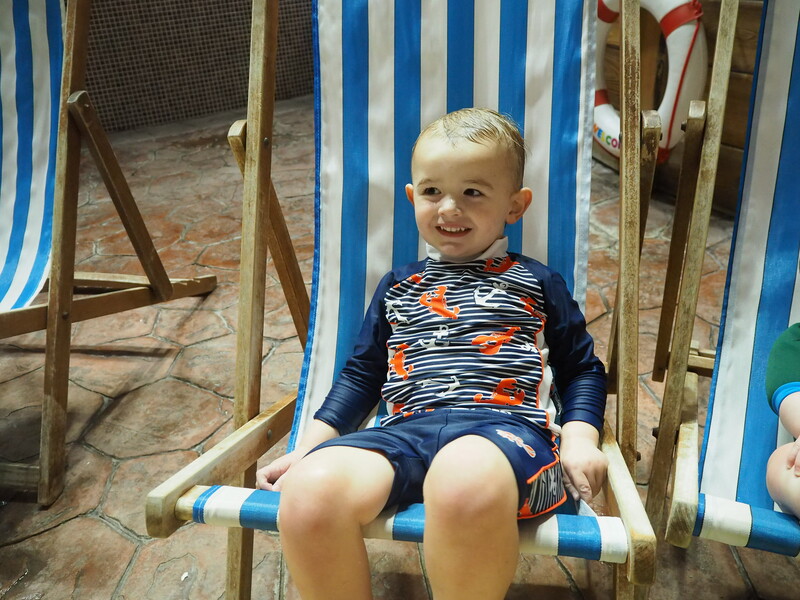 The water has a gradual slope – always a bonus not having to get a toddler in and out of a steep-sided pool – and deck chairs around the edge so you can pretend to be at the beach 🙂 And entry is free! The Nippers’ Cove is a baby area gated off from the main lagoon so crawlers and toddlers can’t escape, and has a fab rock pool to climb around (or sit and chill). 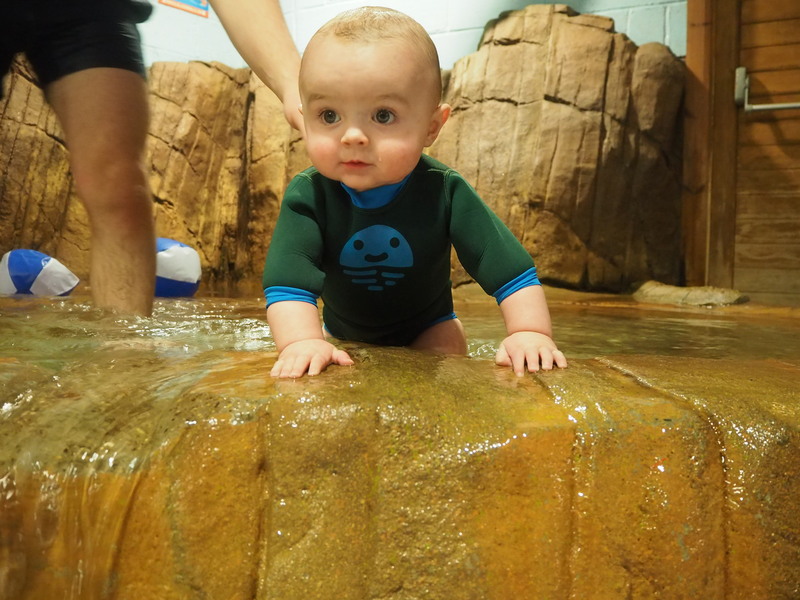 It’s ankle deep, so perfect for babies getting used to the water, and has bubbly jets for some sensory action. The main pool is a water-lover’s paradise. Waves every 20 minutes or so, slides (I’m not sure how many as our boys were too small), and games at certain times of day. The highlight for our two-and-a-half-year-old was the outdoor lazy river. It might have been pouring with rain and freezing cold outside but he could have gone round and round all day. Crazy kid! The facilities are geared up for families with big cubicles, free hair dryers and baby-changing tables, which must have been comfortable as our littlest almost fell asleep on there. Oh, and there’s a cafe if you can’t wait to get back to your lodge for something to eat. We all know swimming makes you hungry! The first time we visited Bluestone they had just created the Circus Room, and I wasn’t sure if it would be too young for our toddler this time. How wrong could I be! Every day he asked to go to play there. The room is split in two, with soft play at one end (for under fives) and obstacle course equipment on the other side. There are tents to play in, tunnels to clamber through and even a ramp to ride down on a little car … literally hours of fun! The soft play section has a slide with a tunnel underneath, big blocks to build with and – my favourite thing – a bubble tube with fish in that changes colour. I don’t know who was more captivated – me or the baby! 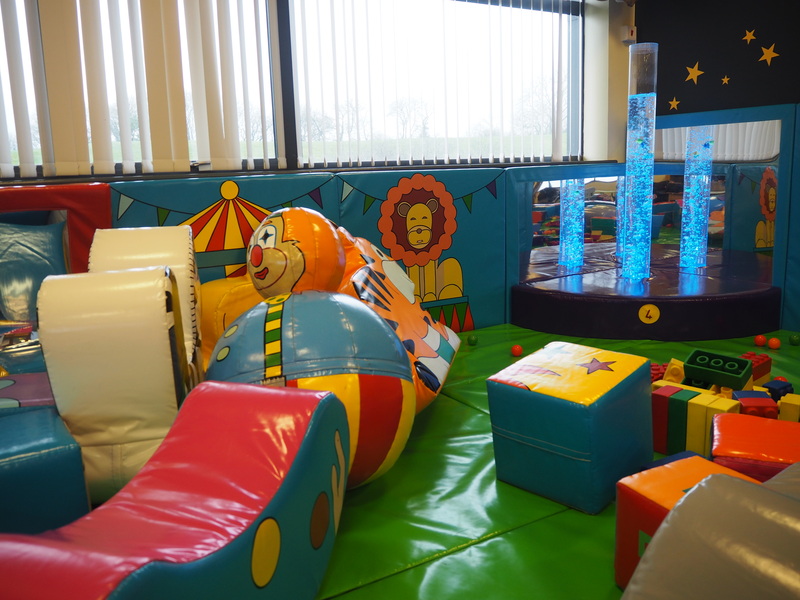 For toddlers there is a smaller play area with a climbing frame, slide and ball pool, which is a nice when you need a change of scenery from the Circus Room, and the bouncy castle was a hit with children of all ages. There are also activities you can pre-book if you like to have things planned in advance. 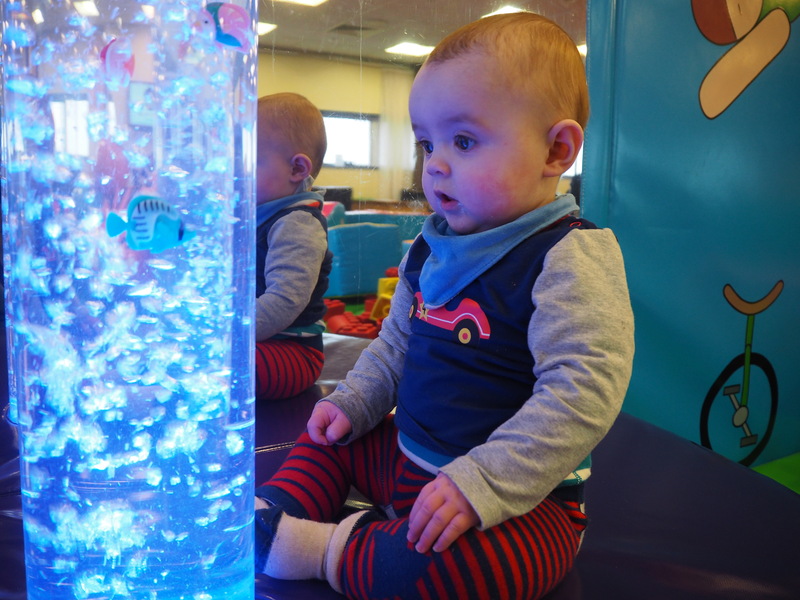 Last time we went we tried messy play and a sensory session. You can read what we thought of them here. Experience eating in a forest in this woodland cafe. There’s a giant oak growing through the floor, tree house tables to sit at, and even a den where you can hide away and watch a film. At certain times during the day there are character meals and shows where you can meet the Bluestone mascots Lola, Buzby, Shelby and Howie. What better way to escape the wet weather?! There’s a creche for the little ones, so book them in and treat yourself at the Well Spa. It’s on my list for our next visit! There you go, if you happen to time your holiday at Bluestone when it’s raining there’s still plenty to do! If you’re heading to Bluestone, why not pin this post for later? Seems like a nice place for kids! Lovely pictures.